Repentance is our friend that leads us to God, and such a friend we should always be eagerly embraced. Do you embrace Repentance in once life? A friend is someone who always seeks to help us be our best, who seeks to bring us closer to God by making us more like Christ. Repentance is such a friend. Repentance brings us to God in salvation through faith in Jesus Christ, and repentance restores those who wanders astray for a time. Everyone wants their sins to be wiped away Right? Everyone wants times of refreshing from the Lord Right? Therefore Repent and Return is conditional, we want all the blessings we can get, we want all the goose bumps we can feel but like blessings and goose bumps they will come and go, what I want is the Presence of the Lord in my life and that is presence is strong in my life. 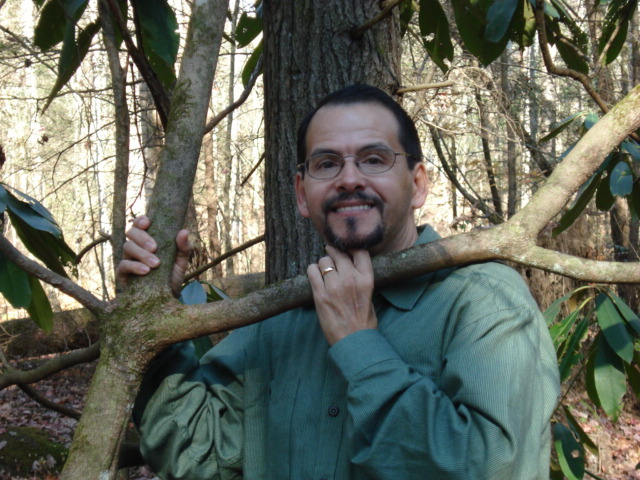 I think of King David when he prayed, Create in Me a Clean Heart, O God. A Psalm of David, when Nathan the prophet went to him. But when he came to his senses, he said, ‘How many of my father’s hired men have more than enough bread, but I am dying here with hunger! I will get up and go to my father, and will say to him, “Father, I have sinned against heaven, and in your sight; I am no longer worthy to be called your son; make me as one of your hired men.”’ So he got up and came to his father. But while he was still a long way off, his father saw him and felt compassion for him, and ran and embraced him and kissed him. And the son said to him, ‘Father, I have sinned against heaven and in your sight; I am no longer worthy to be called your son.’ But the father said…‘this son of mine was dead and has come to life again; he was lost and has been found.’ And they began to celebrate. Let Repentance be your Friend that you may once again experience his presence in your life! (26) That they may recover themselves. The literal meaning of the Greek word rendered “that they may recover themselves” is. that they may awake from drunkenness. The English version, however, gives the meaning with great exactness. Those taken in the snare of the devil are represented as not only captives in the snare of the devil, but as also helplessly wrapped in slumber. The deadly peril of all “captives of sin” is here well painted. in other words, must first be conscious of their awful danger. There is a “door” that leads to heaven. It is the door of God’s grace, held open by the blood the cross of Jesus Christ. For 2,000 years that door has been open to the entire world, and it is open even today for you. Anyone, anywhere, anytime can go in that door and find new life, salvation, forgiveness, freedom, and eternal life. An outward church and an inward church. 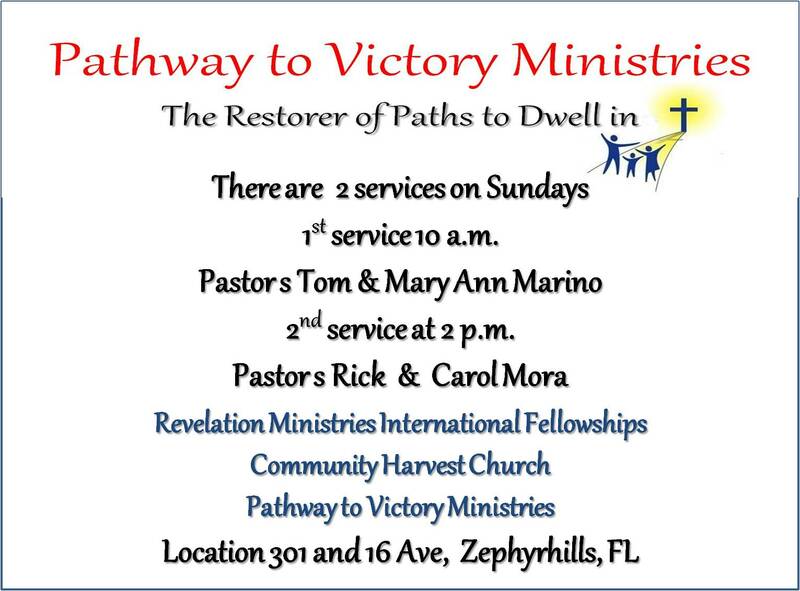 The outward church is everyone who comes to Calvary. It consists of members, regular attenders, friends, visitors, and people who rarely attend but still consider this church as their church. I even have people who don’t come at all but say we are there Pastor’s? The visible Church contains the truly converted and the unconverted as Jesus said the wheat and tarries grow together, but at the end there will be a separation. It consists of some who know the Lord, some who are seeking the Lord, some who attend but are lethargic, and others who are nothing more than religious hypocrites. The inward church is the “invisible” church made up of those true believers in Christ who worship here week-by-week and are faithful and has a true relationship that one day the Lord will say well done good and faithful servant. The point of Christ’s parable is to remind us that just because you go to church doesn’t mean you are truly born again. People come to church for all sorts of reasons, some good and some not so good. People come because of family ties, to see their friends, to get out of the house, because they like the music, or they come to impress people, or because of a feeling of guilt or obligation or because they think they can gain favor with God by being in church. Don’t get me wrong here! Going to church is good; coming to Christ is better. One striking feature of the parable occurs when the foolish virgins ask the wise virgins to borrow some of their oil. The refusal may seem selfish and unkind unless you understand the situation. To loan the oil would mean that no one would have enough oil. And the larger point is clear. No one can “borrow” another person’s faith. You can’t get into heaven by living near a saved person. There is an awful finality about those words. 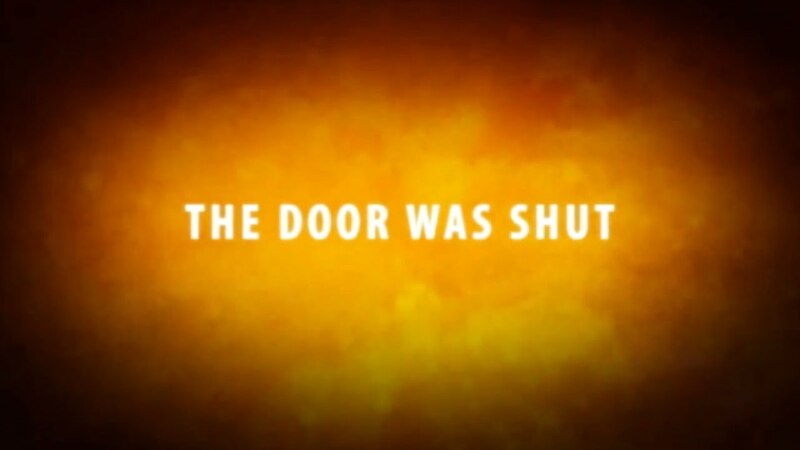 It means that the door was shut and locked and would not be opened again. Those on the inside were safely inside; those on the outside could never get in no matter how hard they tried. Don’t let the door shut in front of you, its your choice and hear the warning and get right with God! First of all what did Jesus mean by it is Finished? So we quote these words of Christ as a work that is complete and fulfilled. And I can say that is correct in the term of why Christ came to earth, the purpose and plan and the will of the Father to be crucified on a rugged cross with two sinners’s as one receives him as savior and Lord and the other rejects him. To Die and be raised up my his Father God and now sits at the right hand of God. Did you know that God will give each one of us a choice on earth to whom we will serve? And we get to make that choice each and every day. Jesus is the head of the body of Christ. Satan is the head of the Body of Sin. If you have not fingered out yet there are two kingdoms that is at work and you get to make the choice who you will serve. God did not make us robots, or made us slave’s but we are servants to what we choose to serve; either we are servants to God or servants to sin. We saw this in the beginning with Adam and eve how God gave them a choice but expressed to them to not partake of the forbidden fruit. The Choice was before them, and as we can see later. They yielded to the Kingdom of Sin who was Satan the fallen angle called Lucifer who had sinned in the beginning and drew a 1/3 of the angles with him. Now we can see there are two kingdoms at work in our lives, and they are spiritual kingdoms at work and in operation around us and in our lives. Back to the Words of Jesus on the Cross It is finished! 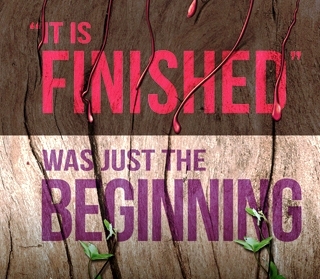 Yes Christ finished it on the cross in obedience but, you may not have finished it in Christ. This is conditional, the problem is the church is still serving sin it is not walking in freedom. You must work out your salvation each and every day! also be a doer of the Word and not just a hearer only! Does the Gospel Change you? In the Bible, repentance means to change your mind. Repentance is not quite the same as turning from sin though turning from sin does happen when you repent and trust Jesus Christ as your Savior. Repent or change your mind and believe the gospel. The Greek word for repent means to change your mind. Biblical repentance involves a change of mind. But what do we change our minds about? We change our minds about our sin and our own ability to satisfy the demands of God’s righteousness. We agree with God that we need His righteousness because all our righteousness’s are as filthy rags. What brings a sinner to repentance and causes him to change his mind about sin? You must realize you are lost before you can see the need to get saved. Realizing you are lost involves a change of mind. You must realize you are a sinner before God One who missed the Mark for all have sinned and fallen short of the Glory of God. Most people belief is that they are pretty good but that does not change their heart condition that says we are all sinners and for the wages of sin is death, separation from God the Father. Could we be so bad that God would keep us out of heaven. It’s now how good a person is or isn’t it’s about a person having a personal relationship with God the Father and his Son Jesus and empowered with the Holy Spirit. Do you have a relationship with the GodHead? Some may only know about who Jesus is others may not know who God the Father is and many may never allowed the Power of the Holy Spirit to move in their lives. The Bible convicts us of our sin and we change our mind. We begin to agree with what God says about us, that all have sinned, and come short of the glory of God, Romans 3:23. That sense of guilt about sin should lead us to receive Jesus Christ as our Savior, as the payment for our sins for God so loved the world you that he gave his only begotten son that whoever would believe in him shall have ever last life, or shall be saved. Feeling a desire to change your life, feeling regret or sorrow for your sins is a bit different than truly repenting. Did you know you can feel sorry for your sins without changing your mind about the sinfulness of your sins? Biblical repentance is a change of mind about your sins, not a change of emotions. It’s like being in jail but not being sorry for the crime that put you there. Realizing you are a guilty sinner is much different than feeling sorrow or feeling remorse over your sins. Feeling sorry for your sins is a self-generated emotion. Feeling guilty for your sins is a matter of self-awareness. But until he changes his mind about the awfulness of his sins, he has not repented. He may only be sorry because he got caught instead of being truly sorry because what he did was wrong. Repentance causes a change of mind because he realizes he has sinned against God. Sexual Acts with Bathsheba and to the point of killing Bathsheba’s Husband in the battle Field. And the Prophet Nathan comes to David and say’s to him you are the Man and you have sinned let me put it this way, you missed the mark! To repent means to change. Repentance is a change of thinking which results in a change of life. Repentance involves a change of mind, seeing things as they really are, and recognizing the error of your ways, resulting in a change of action. We must make it first in importance the kingdom of God. Everything else must give way before its demands; it must be the first priority in one’s life. It must be first in our affections; the Kingdom must have our whole hearts. We must love the Lord our God with the whole heart. Look at Verse 62 Again and the words of Jesus said, (And looking back). The plowman ought to look before him, on his plough, and the ground he is plowing, or he is not fit to be a plowman; nor will he make proper furrows or roll in the field, or do his work well; and so he that enters upon the Kingdoms work, and looks back, and engages himself in the affairs of the world, who sets his heart on them, and spends his time in them is not fit. 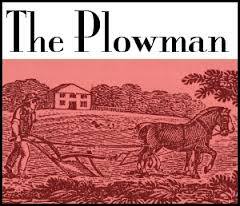 As we seek, Father God and Give Jesus our lives we are like the plowman at work making straight the way of the Lord. Are you making way for the Lord to work in your life and for the lives of others? Would you be called a plowman for the kingdom of God doing his will or are you a ploughman for the kingdom of darkness. Thy will be done is a way to say, a way for us to pledge to God, that we will work with God to make the Kingdom of God real in this world with our lives. Thy will, our work, our focus is joined with God’s purpose on this earth. A pledge to God, I will join my will with yours that your Kingdom might be made real. May God’s kingdom of loving compassion, justice and mercy be realized here on earth, through your work and mine as we become plowman for the Gospel to be spread through out the Field that many will be saved and set free Amen. Who is willing to be a plowman for God’s Kingdom? Death were is your sting! We will rise victorious into eternal life. Jesus purchased you with His blood! Thank you my Savior and my Lord on this good Friday. For we have great joy and consolation in thy love, because the bowels ( Hearts ) of the saints are refreshed by thee, brother. Let me ask you this question when you are around people do they embrace your presence when you are around them. Or do they see you coming and say in there heart oh brother, not calling you brother you know what I mean. In closing who will you refresh today? On Tues August 5th we received a prophecy over us that Jesus was coming to our house and it was for our good and He was observing what we needed. I wasnt exactly sure at that time what it meant but very soon i knew exactly what it meant. The next evening we received a phone call from a lawyer in which he informed us that the bank who held the ownership of the building wanted us out in 8 days!!!!! Now I knew what the prophecy meant, God was about our business, HE WAS IN THE HOUSE TAKING CARE OF EVERYTHING!! And that is exactly what he did!! He sent someone to buy out the thrift store and they packed everything and took it away and gave us a week to move the church to a new temporary location on a members property!!! The other half of the prophecy was that rest was coming!!! No more thrift store 6 days a week means REST!!! 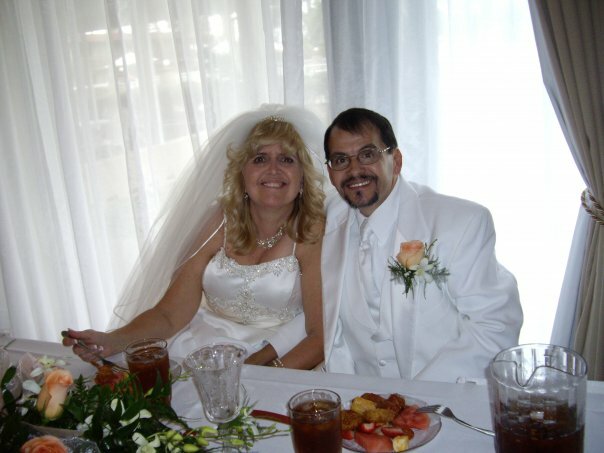 We are very excited to see all God has in store for us personally and for the ministry. Thank you to all the people who helped out this week!! You were Heaven Sent and we thank God for you!!! Is there a plan and is there a purpose in suffering? You wouldn’t be human if you didn’t ask – why? You see the word ‘affliction’ in this passage, the word ‘tribulation’, ask yourself do you know this in your life. It’s the Greek word ‘flipsis’, it literally means actual physical pressure on the man. If you read your English history books you’ll find out that those in English history who refused to confess to a crime, the judiciary got them and they laid them down and laid heavy weights upon them on their chest that pressed so hard that they were eventually crushed to death. They did this in order to get them to confess to the crime, but many of them were crushed to death by the weight. Now that is exactly this word ‘trouble, affliction’ that you find in this passage of Scripture ‘flipsis‘, a weight that is crushing me, that I cannot endure. Now one thing that causes us to despair when we’re going through trials and tribulations is misconceptions, (spiritual misconceptions) that we have about suffering. If you are spiritual you will never be perplexed’. In other words, if you’re spiritual you’ll never get in a tizzy, you’ll never shed a tear, you’ll never buckle under pressure. For the greatest men in the Bible were men that at times were in great perplexion, great distress, and great tribulation, some of them in great depression. 2 Corinthians 11:22- we see that life was not like that for Paul. He was beaten, he was whipped, he was put in prison, he was out on the ocean in shipwreck, he was despised, told lies about, he was chased by false prophets – men swore upon their own lives in fasting that they would kill him before they would eat. Life is not easy, there was never ever a promise that it would be so. 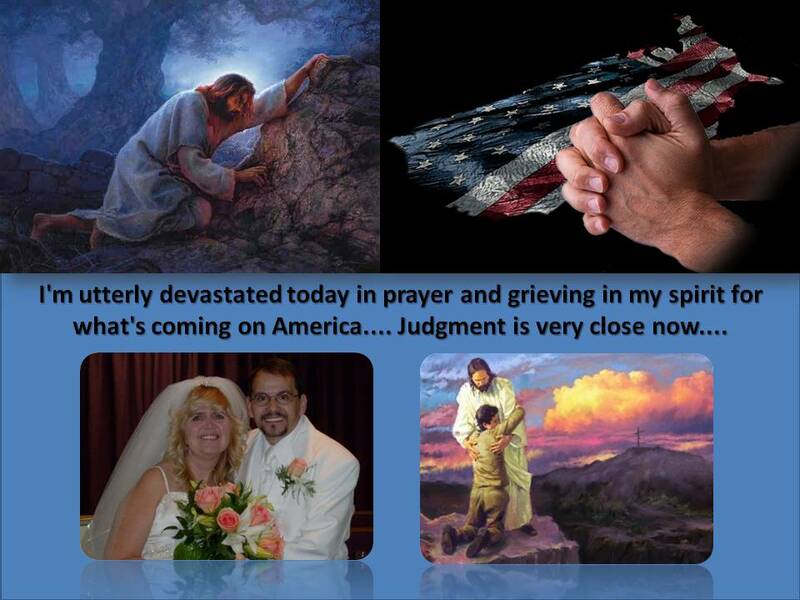 Jesus said in this life you will have tribulations, but be of good cheer I have over come the world. He comforts us in all our tribulation, that we may be able to comfort them which are in any trouble, by the comfort wherewith we ourselves are comforted of God’. Now let’s take that first bit: ‘He comforteth us in all our tribulation’. 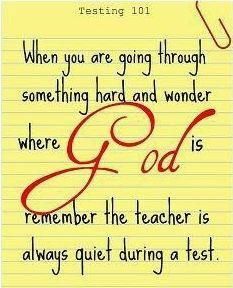 Now this is very simple, write this down if you have a pen: we suffer so that we can be comforted. He comforts us in all our tribulation, that is almost – as far as that goes – an end in itself. We suffer in order that God would comfort us, and we must never in our life think of the things that go wrong as accidents. We mightn’t like them while we’re in the middle of them, but they are divine appointments that God has permitted to enter into our lives. Paul is talking about here, and that is God in control of our lives – for if God is in control of our lives we can trust God in all our circumstances. So if bad circumstances come into our life, we don’t say: ‘Oh, that’s chance, that’s fate, I can’t do anything about it’, because you have God there and you know that God wants the best for you. God has your future planned – not without your responsibility. You’re responsibility is to trust Him. We suffer to be comforted, that’s the first thing. The second thing is: we are comforted so that we can comfort. Now if you look at verse 4: ‘Who comforteth us in all our tribulation, that we may be able to comfort them which are in any trouble, by the comfort wherewith we ourselves are comforted of God. For as the sufferings of Christ abound in us, so our consolation also aboundeth by Christ’. Suffering is not an end in itself, comfort from suffering is not an end in itself. It’s very good if we can let ourselves be comforted by the God of all comfort, but that’s not the whole story. Now here’s the whole story: you go through an awful tragedy, you go through an awful experience, maybe an awful illness, and a man or a woman – perhaps you know them or you don’t know them – comes down the church to you one Sunday and sits down in the seat beside you, puts their arm around you and says ‘I’ve been through it’! That’s what Paul is talking about: you suffer, then you are comforted in order that you might comfort others with the comfort with which you were comforted. The reason for our sufferings is not just to be comforted, is not just to be comforted and then comfort other people, but the ultimate reason is the ultimate reason for everything that we go through in our Christian life, and that is our sanctification and our Christlikeness. What does Paul say in verse 5: ‘For as the sufferings of Christ abound in us, so our consolation also aboundeth by Christ’. He says the sufferings of Christ are in us. Now let me read Paul to you again, in chapter 4 of this book he says: ‘I always bear about in my body the dying of the Lord Jesus, that the life also of Jesus might be made manifest in our body’. He says in Philippians 3 verse 10, listen to it: ‘That I may know him, and the power of his resurrection, and the fellowship of his sufferings, being made conformable unto his death’. Now here’s the greatest of all, listen to this, Colossians chapter 1 verse 24: ‘Who now rejoice in my sufferings for you, and fill up that which is behind of the afflictions of Christ in my flesh for his body’s sake, which is the church’.